Home / ingredients / What are the benefits of a DIY yogurt facial mask? I was wondering about Yogurt Facial Masks and decided to do some research. I found lots of information when I googled about the benefits and many had some common threads. Organic Authority and the Bellatory Site both had some useful information and other sites had similar information. Some of the main points obviously noted the ingredients in yogurt in relation to skin care when used topically which was what I was interested in. One prime ingredient is lactic acid that is an ingredient in yogurt. Lactic acid is known to dissolve dead cells by gently exfoliating the skin and is a natural cleanser. It also helps diminish fine lines and wrinkles also through the exfoliation. Zinc is another important ingredient in yogurt that helps relieve sunburn. Zinc in turn contains anti-inflammatory properties, which can help reduce red swellings caused by acne or rashes. Zinc is also a mild astringent that can help tighten tissues. Yogurt that contains live bacteria has anti-bacterial properties that can help fight acne. It is also anti-fungal. 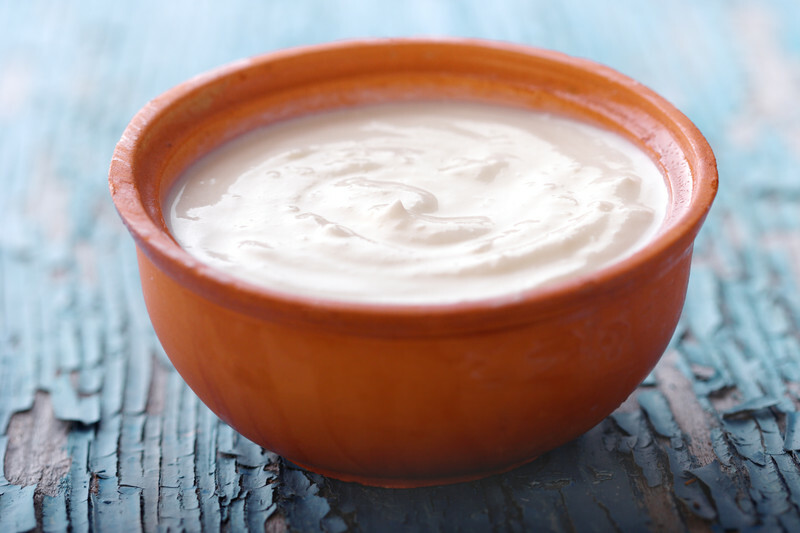 Yogurt helps moisturize and rejuvenate and soften the skin. So using yogurt in a facial mask is basically a win wing for your face! A very easy facial for you to try is to first wash your face. Then use about 2-3 table spoons of full fat,plain unflavored Greek yogurt that is thick and not runny and slather it onto your face. Leave it on for about 10 minutes and then rinse off. For extra moisturizing qualities you can add some honey or a couple of tablespoons of olive oil. You can also add the juice of a lemon to help brighten dull skin and leave it glowing. When blueberries are in season, smash some up for their antioxidant properties. Another additive would be a ripe avocado which contain a lot of B vitamins. What other fresh ingredients could you add to yogurt to make a super spa facial? Water is considered one of four elements of western culture along with Fire, Earth and Air. These four elements also are known in pagan cultures as well as early western traditions….